A new Senate inquiry is due to look at a number of different aspects of firearms manufacture, importation and regulation amid concerns that technology has evolved to the point where the law is lagging behind. 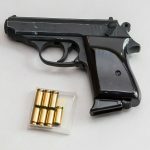 There are also concerns over the number of illegal firearms in circulation in Australia, and the number of illegal weapons that are being imported. 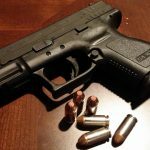 What are some the concerns surrounding firearms? Australia was recently named the fourth largest importer of legal firearms in the world. Although many of the firearms which are brought into the country will end up in the hands of police or licensed firearm users, a number of them will also likely end up in the hands of those who are not licensed to have them. Australia’s gun laws are among the strictest in the world. But the rates of firearms theft along with illegal importations and the ability for some innovative offenders to print operational firearms with 3D printing technology have led to fears that the current laws aren’t sufficient to protect members of the community from gun-related crime. As well as stealing legitimately imported firearms, there have also been concerns that some people are illegally importing guns in pieces and assembling them in Australia. The parts can be sent through the post or brought over by people, and then made into fully functioning firearms. Illegal importation is not the only issue either. 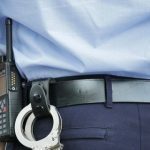 A recent police operation in Sydney caught a pen-gun syndicate, which was allegedly providing miniature weapons to bikies and organised crime gangs. The weapons were made to look like pens, key rings and other small objects, but were powerful enough to kill someone if fired from close range. Small guns disguised as other objects are usually imported illegally from overseas, and according to police, this was the first time they had found them being manufactured in Australia. The guns were also believed to be likely to explode if fired, making them dangerous for the person using them as well as for any intended victim. What will the Senate enquiry look at? The Senate enquiry will look at a number of different areas of gun regulation and control. It will include a gun count to find out how many illegal weapons are currently in circulation, as well as an examination of the impact of technology such as 3D printing, and what implications it could have for gun crime in the future. It is also believed that the enquiry will review any gaps or anomalies in existing gun laws to ensure that there are no legal loopholes that could be exploited by criminals. 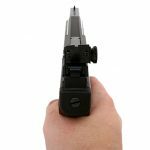 Semi-automatic hand guns are expected to get particular attention in the enquiry, with a leading member of the NSW Organised Crime Squad stating that semi automatic weapons make up 90% of gun crime in NSW. These types of guns are often imported in parts through general postal services. As the postal service doesn’t have the facility to screen all packages that come through, it is hard to detect and prevent this type of illegal importation. It is expected that the enquiry will look at how widespread the problem is and make suggestions for reducing the illegal importation of semi automatic weapons and other types of guns. What is 3D gun printing? Technology is advancing at a rapid pace and one of the things the Senate inquiry will look into is the potential problem that could be caused by the printing of 3D weapons, especially under the current system. 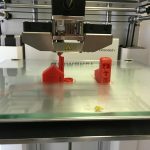 3D printing technology has developed rapidly, and the ability to print just about anything using plastic polymers has a lot of benefits for industry and consumers, but there have also been concerns regarding its use for manufacturing firearms. It is now possible for a person to ‘print’ an operational gun if they have the right machinery and knowledge. This is one of the issues that have led to calls for specific regulation surrounding the printing of 3D firearms, and also for the tightening of other laws dealing with gun theft and the storage of licensed firearms. So far there have been no reported cases of crime involving 3D printed weapons in Australia. 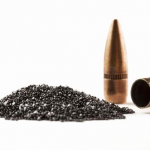 It’s believed that the current limitations around the materials which can be used mean that any guns that are printed may not be fully operational at this stage. But future developments could quickly overcome these limitations. Are new laws really necessary? Although the Greens and Labor are pushing for more stringent laws around gun ownership and importation, sporting and gun safety organisations have voiced a number of objections to tightening gun laws. Gary Bryant from the Firearm Safety and Training Council and Shooting NSW stated that further regulating legitimate gun owners isn’t going to reduce gun crime due to the fact that criminals don’t pay attention to regulation. He believes that the best solution is to penalise offenders more harshly for gun-related crimes, instead of creating tighter regulations for law-abiding members of the community. The results of the Senate enquiry are due to be presented in December. The zero-tolerance approach: do we really need to get ‘tough on crime’? Demerit Points for Illegally using Disability Parking Spots?